Temple Spa, whose Skin Truffle achieved a highest ever rating with the prestigious Anti-Ageing Beauty Bible, who dubbed it a ‘dream cream’, has developed a formula for the eyes. With a list of ingredients that sounds good enough to eat, Eye Truffle is formulated with black summer truffles, champagne extract, strawberries and cocoa butter. It also contains gold and silk actives, as well as other advanced and luxury ingredients for boosting collagen, firming, brightening and leaving skin silky smooth. It also treats dark circles, fine lines and puffiness. RRP £60 for 15ml it is available now at Harrods Apothecary Hall. From 15th February it will also be available at Templespa.com and Selfridges. It’s been more than two years since Philips launched the ReAura fractional home laser. Wow! It doesn’t seem that long ago. That’s actually an awful long time in the ever evolving world of beauty. And yet the ReAura remains one of the most advanced home devices, despite no upgrade since launch. When I first heard that Philips was developing the ReAura, I was incredibly excited. Fractional lasers had transformed professional skin rejuvenation. Here was a technology that could smooth wrinkles, zap hyperpigmentation/age spots, and all in all give us the dewy fresh skin that most of us crave for without the downtime associated with the more aggressive ablative lasers - which leave skin red, sore, peeling and swollen for weeks. But there was a downside – cost. A single professional fractional laser treatment still easily sets you back over £500 and you’ll need several treatments to make an impact. Ouch! Indeed. So the prospect of a relatively cheap (£799) home solution got me salivating. Even more so when I heard that Philips was developing the ReAura in conjunction with Fraxel, widely seen as the gold standard in fractional lasers. I just knew that I would have to have one of these little beauties as soon as possible. Duly, in November 2011, I bought a ReAura. Since then countless bloggers have posted about their early experiences with the device. It would be pointless for me to do the same. As a very early adopter, my aim here is to bring something new to the table: the ReAura, results two years on. Guerlain has unveiled its first Blanc de Perle sleeping mask, together with three other new skincare products in the whitening range. These gorgeous organic lip balms in jewel encrusted cases officially launch today. The company behind them, Perfect Pout Co, is offering 20% off next purchase with all orders placed this week and is also running a Valentine's Day competition to win one. January is a miserable month. The days are short, the New Year feelgood factor has gone and the weather wreaks havoc on our skin. Blimey, that is miserable. Roll on Spring. Well, we can’t speed up time but we can at least give our skin a little bit of extra TLC to help it through the winter months. A brilliant treat in winter is a deeply nourishing mask which will help replace the moisture sapped from our skin by the unavoidable fluctuating temperatures – we’re outside in the cold and wind one minute, then indoors with the central heating set to max the next. No wonder our skin complains. In part one of my Sqoom review (posted 6 January) I reported on the subtle early results I was getting with the device – noticeably more nourished and moisturised skin. Did the results build over the eight weeks? To recap, Sqoom is a device which uses a combination of ultrasound and ionisation to push active Sqoom anti-ageing ingredients deep into the skin, deeper than is possible with topically applied creams. The treatment is designed to stimulate the production of the skin’s own collagen and elastin, thereby smoothing out wrinkles and giving a more youthful complexion. 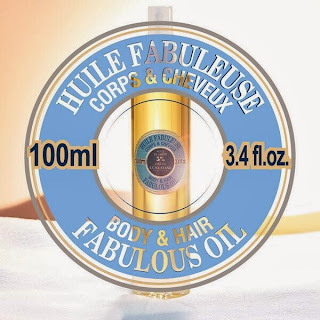 If you’re looking for treatment oil that’s versatile and also deeply nourishing, you should check out L’Occitane’s new Huile Fabuleuse which officially launches today. Huile Fabuleuse/Shea Butter Fabulous Oil is a multi-purpose dry oil for body, hands and hair. It is rich, silky and deeply nourishing – just the thing for this time of year when skin and hair can be exceptionally dry. The oil is quickly absorbing and has a comforting scent. 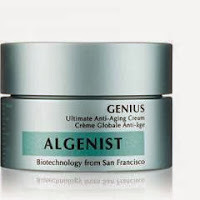 Devotees of Algenist will be able to get their hands on the biotechnology skincare company’s ‘ultimate’ new anti-ageing cream online and in-store at Space NK from 20th January. Eve Lom’s eagerly awaited make-up range will become available to buy from 16th February on-line at evelom.com and debuts in-store at Liberty’s London. Radiance Perfecting Complexion - Eve Lom’s first make-up range - reflects a growing trend for blending active skincare ingredients into cosmetics. There has been a growing buzz around the Sqoom ever since Selfridges exclusively launched the new and improved M2 model last summer. Intrigued, I quickly got my hands on one and I have to say, having tested it, I love it. The Sqoom uses ultrasound and ionisation to push active Sqoom anti-ageing ingredients deep into the skin, deeper than is possible with topically applied creams. This stimulates the production of the skin’s own collagen and elastin, thereby smoothing out wrinkles and giving a more youthful complexion. The device uses a 1Mhz ultrasound frequency, unlike many other facial devices which use 3Mhz. Ultrasound frequency is a topic of heated debate on the beauty forums as 1Mhz is considered by some as not suitable for the face, only the body, because of the depth at which it penetrates the skin - the lower frequency has higher penetration. However, Sqoom argues that the 1Mhz is safe and required to deliver results, and cites scientific and dermatological testing to back up its claims. Also, I myself have not had any negative reactions, quite the contrary, and I have yet to hear of any issues elsewhere. The Sqoom is made by German manufacturer Schick Medical. It costs £549 at Selfridges, putting it at the premium end of the at home beauty device market, and when I last checked yesterday (Sunday) it was currently out of stock there - did I mention a growing buzz? The Sqoom comes with the device, cradle, power cable, instruction manual plus two gels: a 50ml Cleanser and a 50ml H+ HyaGel. One ingredient common to both gels is Aloe Vera, which has incredible moisturising and healing qualities. The HyaGel is the real workhorse and contains fragmented hyaluronic acid which Sqoom claims is much more effective than standard hyaluronic. Hyaluronic acid is found naturally in skin and its decline after the age of 30 is a key factor in ageing. As for the device the transducer is good and large and made with strong titanium alloy. The build of the whole machine is very sturdy. There are seven programmes: cleansing, massaging, lifting, whitening, ultrasound only and two settings for the delicate eye area. The first three are key and used throughout the 6-month treatment programme; whitening is optional and for treating age spots (used in conjunction with Sqoom’s DeSpot gel). At the start, each treatment takes 12 minutes and is daily. In the final 11 weeks of the programme you only need use the machine twice weekly and each treatment takes 16 minutes. Following an eight-week trial, the simple answer is yes! I treated in the evening and even on the morning after my very first treatment my skin felt noticeably more nourished. In my second post, which I’ll publish very shortly, I’ll reveal the full results of my Sqoom trial, during which I used no other device with similar anti-ageing claims in order to give the Sqoom a fair test. Beyond the trial, I am continuing to use the device and in part 2 of my review I shall also give you some post-trial usage tips. For further information on the Sqoom and retail partners visit http://www.sqoom.com/en/. Welcome to Face Up Beauty, a brand new blog throwing a spotlight on luscious skincare and at home beauty gadgets. Not another beauty blog I hear you cry? Well, yes and no. Yes it is a blog about beauty but it won’t cover pure makeup, or fashion or style. My blog is all about sticking to what I know a lot about - rejuvenating skincare and at home beauty devices (plus an occasional word or two on other little beauty luxuries that make life a tiny bit sweeter). As far back as I can remember I have had more than a passing interest in skincare; in my early teens weekly home facials were an established part of my routine. But whereas my skin then would remain plump and line free no matter what I put on it, today, a few decades on and with a teen of my own at home, trying to keep my skin looking as youthful as possible has become a much more challenging affair. According to widely quoted research, from the age of 30 we lose each year 1.5% of our collagen (the structural protein that gives us smooth plump skin). It’s a depressing statistic. But help is at hand in the shape of the plethora of anti-aging products and at home skincare gadgets on the market. But with choice comes a problem. Anti-aging products are relatively expensive to buy and how can we tell what is going to work and what isn't before we purchase them? 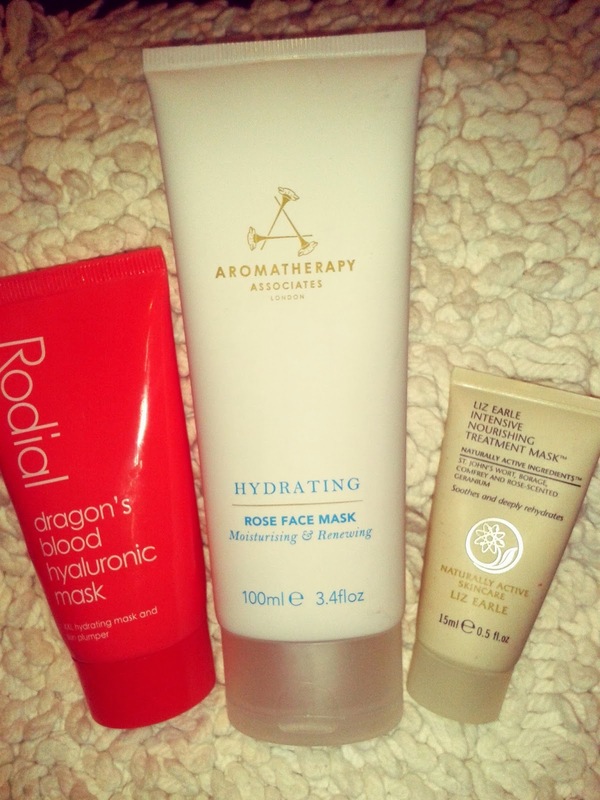 Over the past few years I have bought, tried and tested a whole multitude of skincare and gadgets. Some of them I have gone on to love, others I have not. 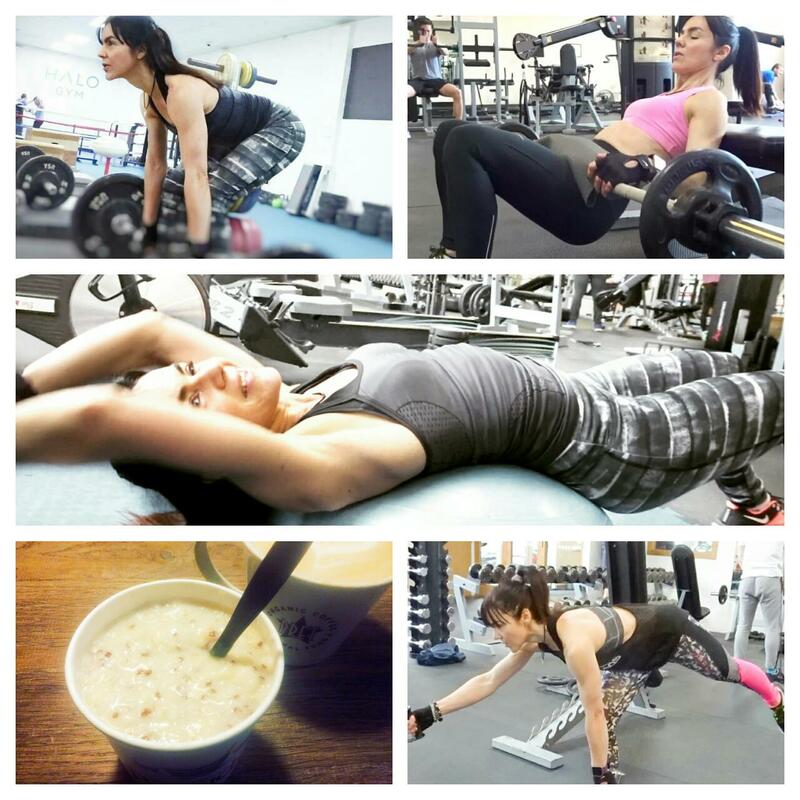 Trying out new products and finding out about latest innovations has become a genuine passion for me, and one that I would like to share with others via this blog.